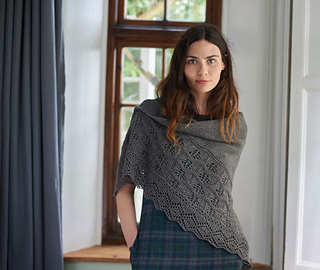 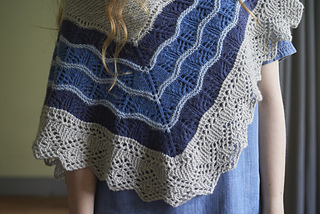 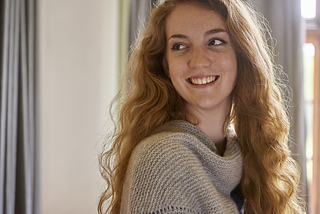 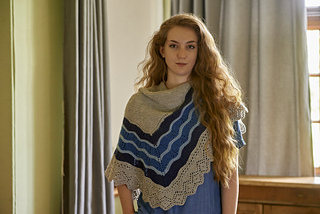 This triangular half-hap shawl comes in two sizes and is worked seamlessly, beginning with the Central Garter Stitch Section. 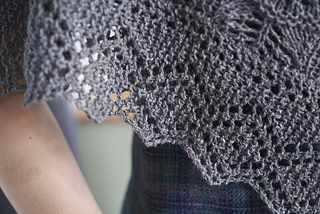 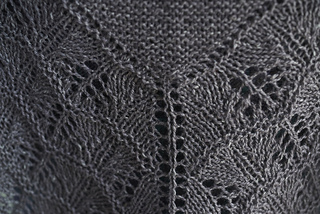 Stitches are picked up around the edge for the Stockinette Stitch Lace Border and finally a Garter Stitch Applied Edging is knitted on parallel to the live stitches. 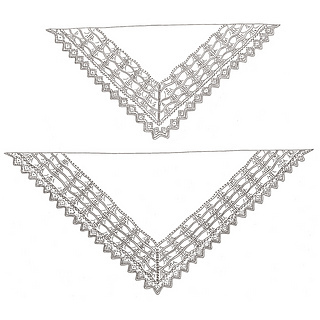 This classic accessory can be worked in a single colour, or looks equally beautiful with the lace border knitted in coloured stripes. 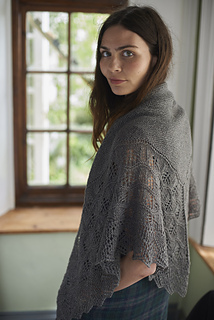 We recommend Blacker Swan for a sumptuously soft and cosy piece, or Blacker Samite for something more traditional with a touch of luxury.